If you are an Australian resident (for tax purposes), you can invest in QTC Queensland Bonds with a minimum $5,000 and, thereafter, in multiples of $100. Investors can choose QTC Queensland Bonds of differing maturities and differing interest rate earnings. Interest can be paid quarterly or half-yearly and on maturity, the principal investment and interest earned can be paid direct to a bank account. If you currently hold QTC Queensland Bonds and would like information on your investment, contact our registry, Link Market Services on 1800 777 166 or email by clicking the button below. Queensland Treasury Corporation is a statutory authority, which was established in 1988. We are the State of Queensland’s corporate treasury services provider, with responsibility for providing financial risk management. One of our services is to issue Queensland Bonds. We do this under authority of the Queensland Treasury Corporation Act (Queensland) 1988. Under the Queensland Treasury Corporation Act (Queensland) 1988, QTC Queensland Bonds are guaranteed by the Queensland Government, both for the payment of interest and the repayment of principal on maturity. Queensland Bonds are entirely fee-free, attracting no brokerage or ‘front-end’ fees and no management or account-keeping fees. If you hold QTC Queensland Bonds and have changed your address, contact details or banking information, you need to notify Link Market Services Limited of the change. Access the Link Market Services Investor Centre. 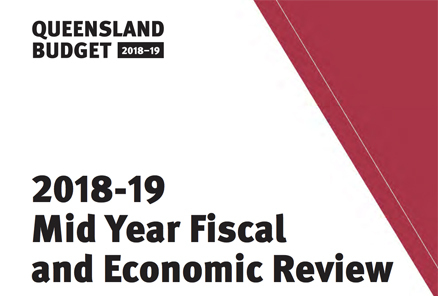 To ensure compliance with foreign securities laws relating to online promotion of securities not intended for offering in foreign jurisdictions, the Queensland Bonds prospectus is not available through the QTC website. For a copy of the prospectus, please contact Link Market Services directly on 1800 777 166.